Now that winter is officially here in New Jersey, my family and I are doing what we can to stay warm! So today I am sharing my winter home! 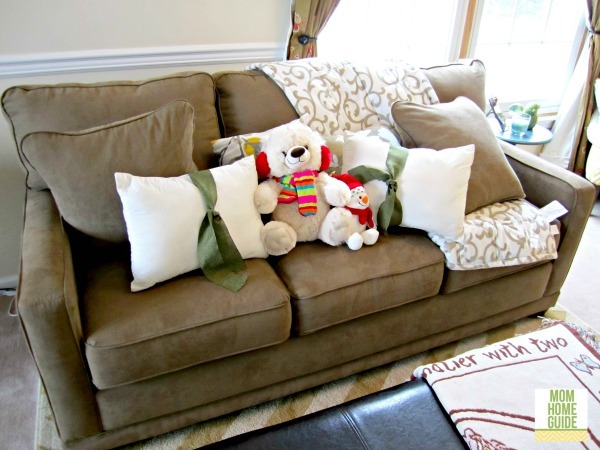 When the weather gets cold, my kids and I love to snuggle up on our new microfiber sofa! The sofa is so plush and warm! 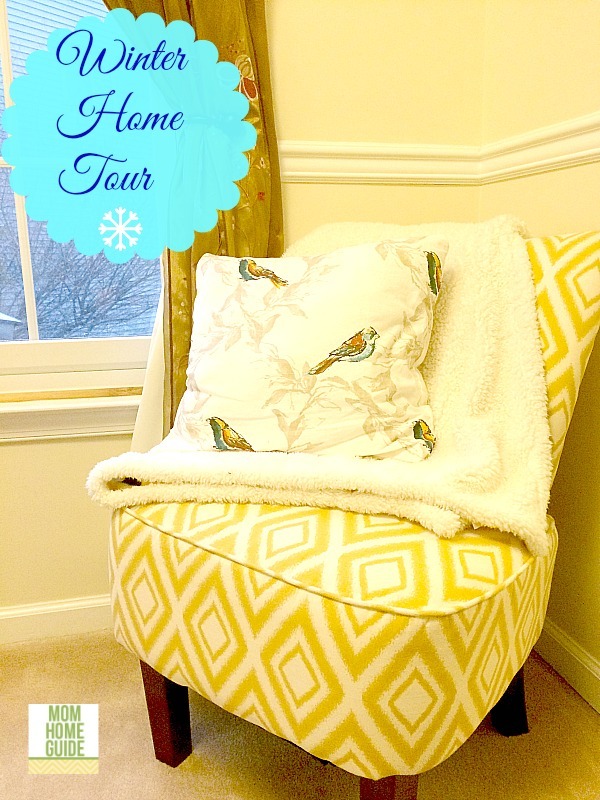 It’s also where we keep a soft and fuzzy throw for when we read or watch the birds outside! 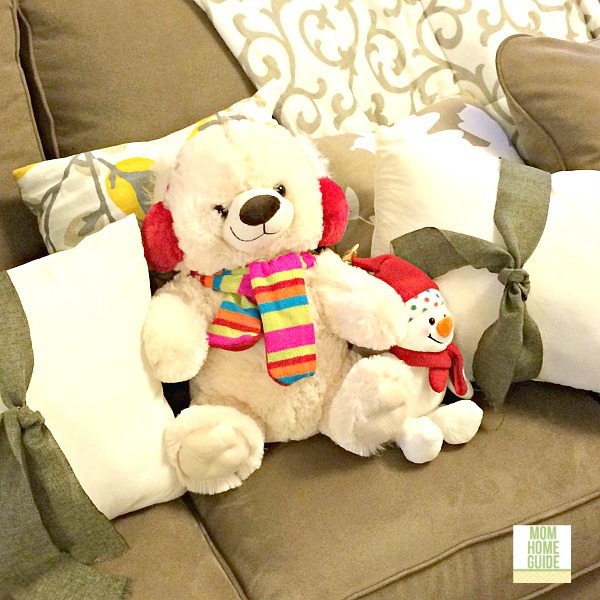 On the sofa is a little snowman, and a big plush snowman we couldn’t resist when it went on sale after Christmas! 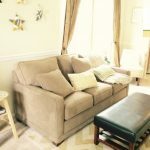 I got our “Kennedy” sofa from La-Z-Boy last spring, and we just love it! 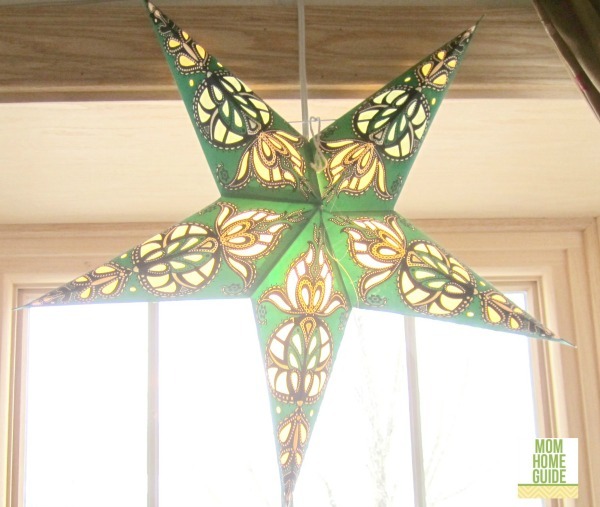 I miss the daylight during those long winter nights, so I just love the paper star lantern that my family and I have hanging in our bay window! 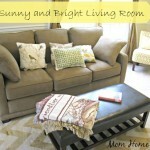 I like to turn on the light in the evenings to give our family room a warm, soft glow. Even though Christmas has past, I just can’t bear to take down the cute winter village that my kids made! (They decorated the craft houses and designed everything but the tree in the center.) 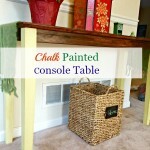 I just think the village looks adorable on my new console table that I painted with Chalk Paint® decorative paint by Annie Sloan! My home’s family room is a bit unconventional in that it features a beautiful pool table! I got the Olhausen pool table, which has beautiful mother of pearl inlays, for my husband for a big birthday. (I won’t mention which one!) I used to keep the pool table covered most of the time with a big vinyl cover, but now I keep it open most of the time. We’ve found that we use the pool table much more when it’s not covered. 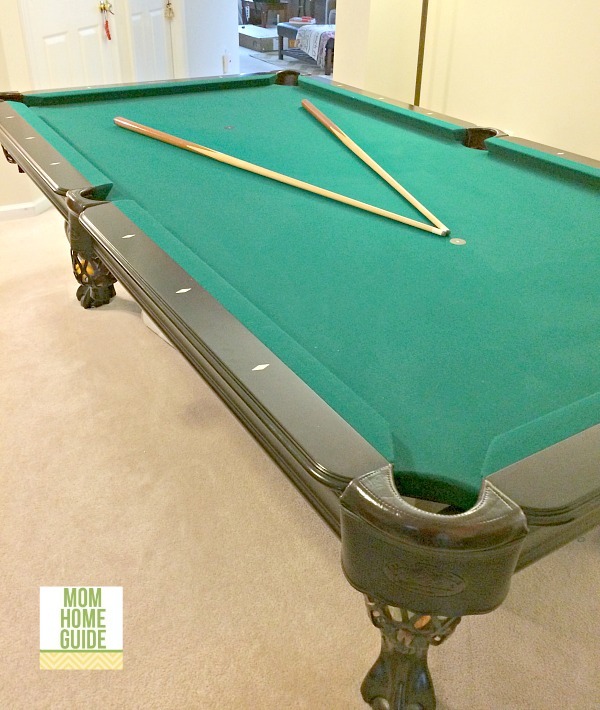 The pool table is great for winter family game nights! Plus, the pool table looks so much nicer in the room when it’s not covered up! That wraps up my winter home tour! 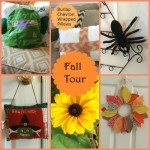 Fall Home Tour & Giveaway! 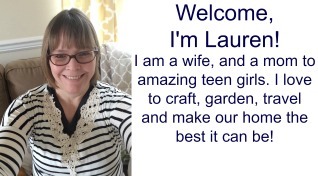 Lauren ~ Thanks for sharing your ideas to make a cozy, winter home! I like all the textures and homemade touches, particularly your kid’s village. I really love that decorative chair and your new couch looks so comfy. I need some new couches in our family room!! That paper star is so beautiful with the light shining on it. Thanks, Carrie! I found the decorative star while shopping with a friend in a cute town near my house. 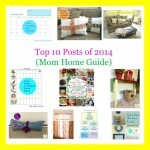 The sofa is from La-Z-Boy and the chair is from Target! Looks like fun! Cute little village! 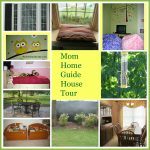 You have a beautiful home!! I love the little pillow with some yellow. Thanks so much, Stephanie! Thank you for stopping by! I love the big star..so cute! Thanks, Jamie! The star lets my kids and I enjoy some sparkle even when it’s not the holidays!